One opportunistic company is looking to pump some new blood into a sector unlikely to go out of business anytime soon with the design of its futuristic party-optional hearse. The Aeternal, is a concept driverless hearse created to offer a luxurious, high tech burial - not that the passenger will mind on account of being dead, of course. 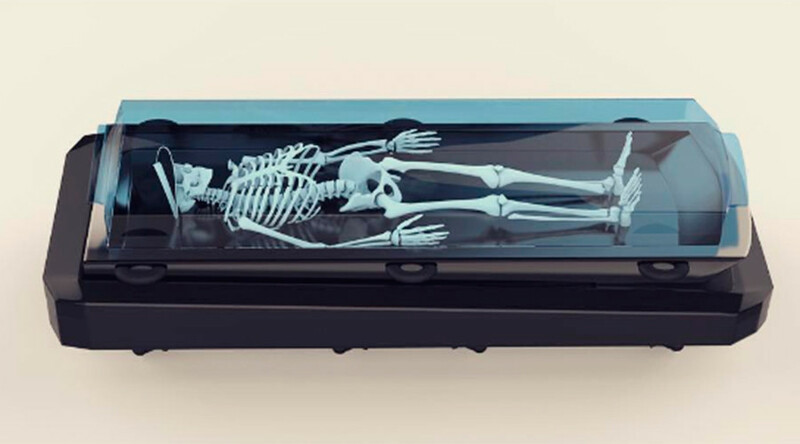 The dearly departed will be displayed in a raised, clear plastic coffin, that comes complete with air conditioning to keep the body in pristine condition. The high tech hearse features mecanum wheels, that can move independently in different directions from each other, making it easy to maneuver between funeral home, church and grave. 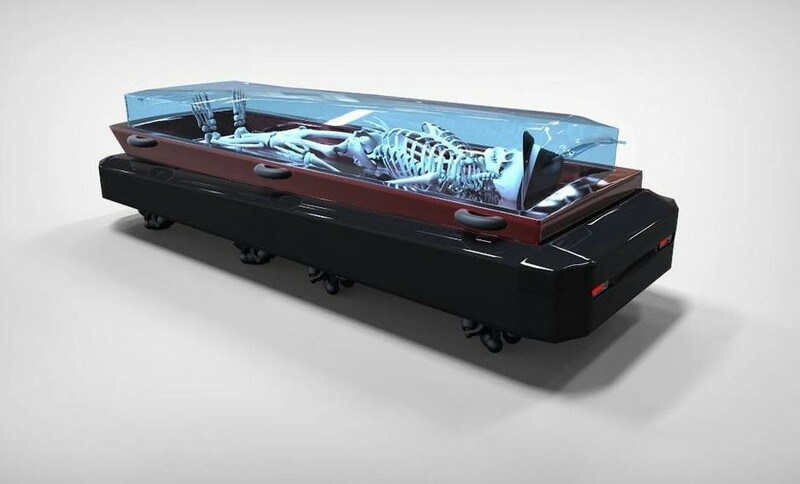 The quirky coffin can be programmed to operate on auto-pilot, or can be remotely controlled like some macabre RC car. 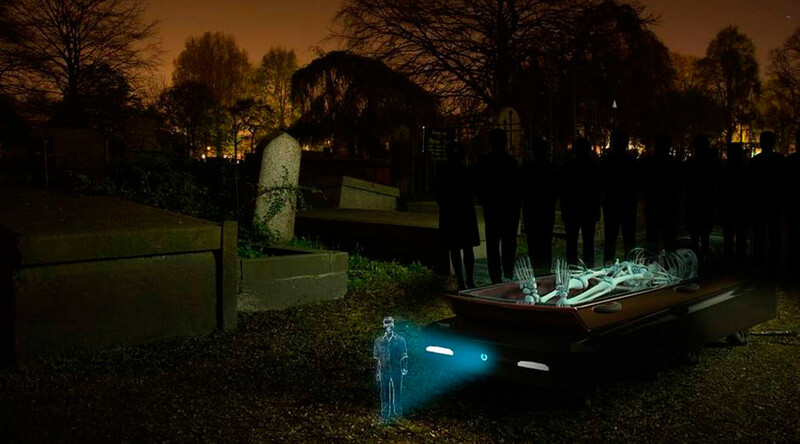 Upon arrival at the final destination, music and pictures, which have been uploaded to the post-mortem party vehicle, can be played through the inbuilt sound system, while the deceased can look on, albeit in holographic form. These features are, of course, optional. The creation is the brainchild of Abhishek Roy, founder of the aptly titled Lunatic Koncepts, a Mumbai-based design house.